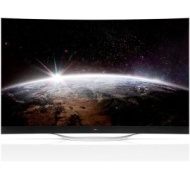 alaTest has collected and analyzed 41 reviews of LG 65EC970V	/ 65EC970T / 65EC9700. The average rating for this product is 4.6/5, compared to an average rating of 4.6/5 for other products in the same category for all reviews. Reviews about the size and color are on the whole positive. The usability and design also get good comments, whereas there are some mixed opinions about the reliability. Many are less positive about the price. We analyzed user and expert ratings, product age and more factors. Compared to other products in the same category the LG 65EC970V	/ 65EC970T / 65EC9700 is awarded an overall alaScore™ of 92/100 = Excellent quality. If you've got the cash and you want the best TV money can buy today, this is it. <!–pagetitle:LG unveils 105″ 5K Curved Ultra HD TV, Super UHDTV (UF950T) , 98 inch Ultra HD TV and Curved OLED 4K TV (65EC970T). LG 65EC970V: Is OLED the real future of television tech? A 4K Ultra HD TV capable of some of the most gorgeous pictures ever seen on a home screen. LG's 65-inch OLED 4K television lands it another 'world's first' victory. If you want to future-proof your entertainment center, this is the best. But it'll cost you.